Favorite Fair Food Poll Results After 1 Week of Voting - JP loves LIFE! Wow! The votes have really been coming in for the favorite foods we eat at state fairs and county fairs! With the enthusiasm I’ve seen and knowing a lot of people are beginning to enjoy yummy food (I’ve already seen great reviews about the Indiana State Fair 2010 kicking off this week and the Illinois State Fair will be starting soon), maybe more opinions are yet to be heard. The fact that corn dogs / hot dogs came out on top didn’t really surprise me. 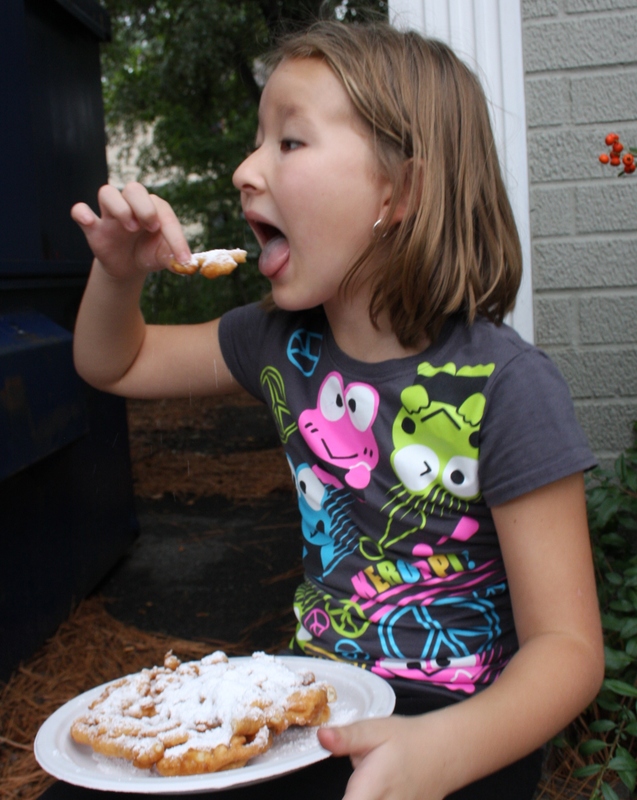 And as a long time funnelcake lover, I expected the fried bread with crazy amounts of confectionary sugar to do well in the poll and it did. Also in the Top 3? I’d love to hear reviews on the odd things I’ve heard about being sold. Fried Coke / Pepsi? How does that work? And I love butter… but fried butter? What sort of thing would that be? 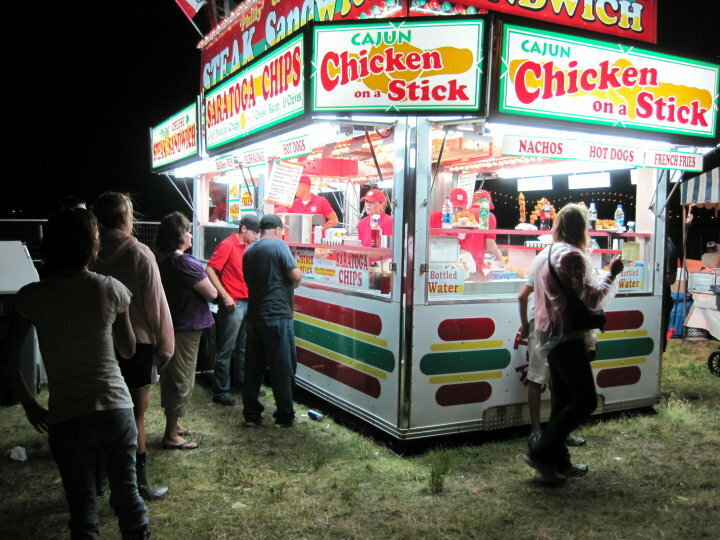 What’s the strangest thing you’ve had at a fair? If you haven’t voted yet, feel free to vote standard or unique! Enjoy your local fairs and festivals! If you get a chance to write it up on your blog or something, let me know! I saw an egg on a stick at the Ohio State Fair yesterday. I know they also have had fried snickers and other candy bars. What sort of egg gets put on a stick? I mean I truly love food on a stick, just not sure how some of that works! LOL. ‘Strawberry Festival’ Plant City, Florida serves the best..what else..strawberry shortcake. People come a long way for it, and can also buy flats of the best strawberries.